In recent years, the activities taking place on the international currency markets - more popularly known among experts actively following the dynamics of changes in exchange rates of major global currencies as the `forex market` - have long ceased to be an exclusive investment niche for the professional providers and advanced consumers of financial services on the global capital market. This trend is clearly illustrated by the high level of activity on the Russian forex market, where the number of brokers and dealing centers has been rising at exponential rates year on year, starting from 2000. However, in contrast to the rest of the world, where forex represents a whole segment of the capital market offering different financial instruments to all players, the activities on the Russian forex market today are mainly limited to brokers, as the industry still in its embryonic stage of development, currently does not have the required complementary market segments to support its services. Consequently, it is only professional traders that can name some forex-dedicated educational projects, academies, special forex portals for currency traders and just one exhibition company, which is so-called because of the lack of any other company competing with it in the Russian economy. Situation in foreign markets Indeed, the situation in Russia is starkly different from those in other European markets, North America and Asia, as forex markets in these other locations are self-sustaining and highly developed industries with lots of complementary segments that help augment their services. For instance, one of these segments is occupied by companies specializing in organization of all types of exhibitions. It is, therefore, not surprising that several exhibition brands capable of attracting numerous participants and visitors to their events are widely known in the West. Amongst them are companies that organize major forex industry fairs, where brokers and dealing centers see their participation as an important marketing instrument for their companies. This is because as a vital marketing strategy tool, forex expos, unlike direct advertisements, do not have the intrusiveness of classical PR activities. Indeed, participation in all types of exhibitions is one of several methods needed for creating the right business climate and attractive image for companies. A major problem, however, is that the number of high-quality expo projects, which are capable of using their names, organization levels and statues to attract participants to their events and meet their expectations, is highly limited. This problem is further exacerbated for Russian, Asian and Middle East companies, which due to lack of exhibitions in their regions often fail to take part in non-core and geographically unsuitable expositions. The situation is further worsened by the low level of locally organized exhibitions that does not correspond to the high level of potential companies that could participate in such events or cannot meet their stated goals due to their low organization levels, non-representative choices of participants and/or total lack of segmental relevance. The arrival of a new player changes negative trends. However, such negative trends, especially on the socalled fast growing emerging markets, started changing for the better in 2009, when the global forex activity expansion was boosted by the arrival of ShowFx World, a new international exhibition brand, which took the industry by storm in 2009 by organizing a series of topquality, high-profile forex exhibitions in Malaysia, Singapore, Cyprus, Dubai and other new forex havens across the globe. Besides, the company also successfully organized a forex expo in Moscow in December 2009 that attracted lots of positive responses from the event participants and guests as well as positive reviews by the local business media. For instance, the Exchange Leader, a Russian business journal, called the ShowFX World Moscow 2009 event "an excellent opportunity for exhibitors to display their competitive advantages not only to the event guests and other industry players, but also to their potential partners." Seen in this context, the appearance of the new ShowFx World exhibition brand in this industry, according to company representatives, is a reflection of the growing demand on the international financial markets for forex expos. 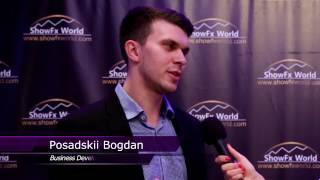 However, it needs to be noted here that ShowFx World is, by all means, still a novice on this market and is just at the beginning of a way to becoming a really influential status contractor for international exhibitions and other public events that will unite all key players on different financial markets. 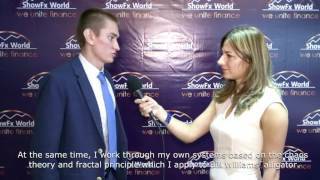 But today, one can, judging from the number of successfully organized exhibitions in different parts of the world, conclude that ShowFx World uses only the latest modern technologies in the organization of its events with the necessary means and resources to execute turn-key events and views each exhibition as the most important event of the year in the region, where it is being held. 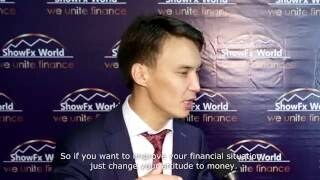 As noted by Dmitry Mironov, a key account manager at ShowFx World, the company`s main goal is to keep on organizing first-class forex and expo shows across the world. "It is not surprising that such mission is reflected in the company`s corporate name. This is because for it is very important for us, as organizers of expos all over the world, to ensure that all events organized under our brand are executed at the highest quality level," he added. "The satisfaction of the needs of our events visitors and the goals set by our expo participants is the most important that we want to achieve and be proud about, as they mean recognition for our company. "?